When:Wednesday, October 10. Early - 6:00 doors, 6:30 show. Late - 8:30 doors, 9:15 show. How Much:Early - $18 advance, $20 day of show, $10 ages 16 and under so bring the groms. Late - $20. Details:The late show sells out every year, get your tickets now! San Francisco, get ready! On Wednesday, October 10, TGR is returning to the Palace of the Fine Arts for the winter kick off of the year. 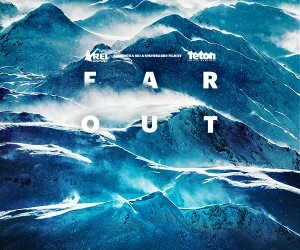 Join us for a premiere of our new feature length ski and snowboard film, Far Out, presented by REI. Whether you choose to come to the family-friendly early show or party with us at the late show, it's sure to be a great night. There will be athlete appearances, plus a ton of prizes from our partners at Yeti, The North Face, Atomic, Volkl, TGR and more, plus everyone in attendance will get a buy-one-day-get-the-next-day-free lift ticket to Mt Bachelor (holiday restrictions apply) And, everyone in attendance will have a shot at the tour grand prizes - this year with trips to Alyeska, AK (including a day of heliskiing with CPG), to TGR's hometown Jackson Hole, to Crested Butte, or to Ski City (Salt Lake, including skiing at each of the four resorts within an hour of the city). Don't miss your chance to see Far Out on the big screen. For those of you looking for a more intimate viewing experience, this year we are excited to announce the return of the TGR WhiSKI series. The WhiSKI Series pairs a high-end whiskey tasting (featuring High West whiskey) with a VIP screening of Far Out, and athlete/production Q&A. All WhiSKI Series attendees will also get swag bags including Yeti Ramblers, TGR films and more. Click here for tickets and details on the WhiSKI Series event.